Winter Patriot: Distraction 101: Why Are The Prog-Blogs Silent On Gaza? Because That Is Their Job! Distraction 101: Why Are The Prog-Blogs Silent On Gaza? Because That Is Their Job! 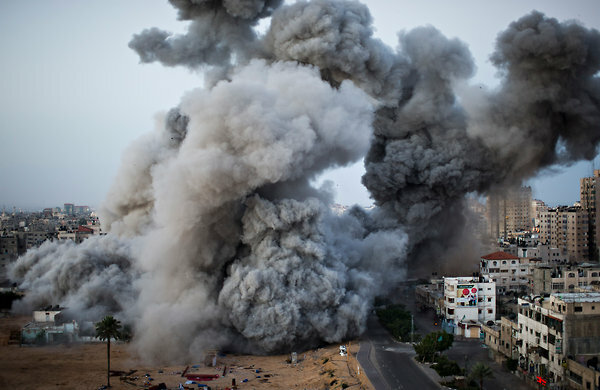 Another Israeli attack on Gaza. "Progressive" bloggers got nothing to say. With "the American-armed, American-backed Israeli military [...] busily raining death into the cramped and crowded concentration camp of Gaza," I find it difficult to think clearly, let alone write clearly. The barbarity of the Israeli operation, no doubt carefully planned long ago, fills me with horror, rage, and grief -- and so too do the so-called "justifications" put forth by the so-called "analysts" who populate our so-called "news media." Even were I not hampered by physical injuries, I would find it very difficult to write at this time. And yet, not writing at this time would be even more difficult, and writing about anything except the Israeli assault on Gaza would be almost inconceivable. But the key word is "almost," and the crucial issue is context. In other words: I am an independent blogger with a small readership and no outside support. Thus, I am free (some would say "bound") to write what I think. But such was not always the case. Before I became an independent blogger with a small readership, I was a frequent and heavy contributor (and occasionally even the guest host) at a blog with a large readership, and things were very different. Chris Floyd's latest post, "Blogging and Nothingness: Progressives Turn Their Gaze from Gaza," points out that the "leading" "progressive" blogs -- Digby, Eschaton, and Kos, among others -- have had nothing to say about current round of crimes being committed against the Palestinians, and against all humanity, by the Israeli "defense force." Certainly they are not about to call these crimes by their proper names, nor to admit that none of them would be possible without the support that flows to Israel from the United States. Occasionally I see the assertion made that the "leading" "progressive" bloggers are not shining bright lights on such harsh truths because they are afraid of being called "anti-Semitic." In my opinion, nothing could be further than the truth. The "leading" "progressive" bloggers are mostly interested in preventing such truths from coming to light, because they are anti-Semitic. Let us speak plainly. Palestinians are Semites. Many Israelis, who came to Israel from Europe, are not. But Israel uses the term "anti-Semitic" to smear anyone who criticizes Israeli policies. Therefore, you will be called "anti-Semitic" if you oppose unwarranted violence against the Semitic people. But in fact it is Israeli policies, and Israeli supporters, which are truly "anti-Semitic." This is extremely twisted "logic," using the ethnic identity of the victims to shield the perpetrators. But it is entirely typical -- the Israeli-Palestinian conflict is a minefield, strewn with words and phrases whose apparent meanings and real meanings are radically different. In my view, the "leading" "progressive" bloggers shy away from the minefield not because it's complicated -- it's really not very complicated at all -- but because that is their job. Their main purpose is to capture and nullify any potential opposition. They are remarkably successful at it, and heavily supported for doing it so well. And therefore it is left to the "little guys" -- Chris Floyd and others -- to clear away the mines and tell the horrible truths, even though this guarantees that they will always be independent bloggers with small readerships. As for the "leading" "progressive" blogs -- Digby, Eschaton, and Kos, among others -- I never expect them to say anything valuable about anything of importance. My expectations have rarely been disappointed. Meanwhile, death and destruction continue to fall upon the people who are trapped in the Israeli vice. Israeli bombs continue to tear apart homes and kill whole families, while Israeli shills continue to claim that Israel never attacks civilians. And Barack Obama maintains that "Israel has the right to defend itself." This so-called "right of self-defense" stems from Israel's so-called "right to exist." I wouldn't wait for any "leading" "progressive" blogger to explain how bogus all this is, or to point out that states exist by force of arms alone, not by right but by might. No coercive state has any right to exist whatsoever -- not Israel, not the USA, none of the others. States exist because -- and only for so long as -- none of their opponents can overcome their power. If this obvious truth is invisible to the "leading" "progressive" bloggers, then maybe they are not so "progressive" after all ... which would explain why they are "leading."